The official Twitter for Windows Phone app has received a tiny but important update which brings in the most important and much needed notification to the app. With this update Twitter for Windows Phone has moved on to version 1.5 and has also arrived with the new Twitter Blue Bird and many other Bug fixes. The notifications are also push enabled now which are almost instant and it also supports Live Tiles and goes on to show the user, the latest mentions from any user on the homescreen. 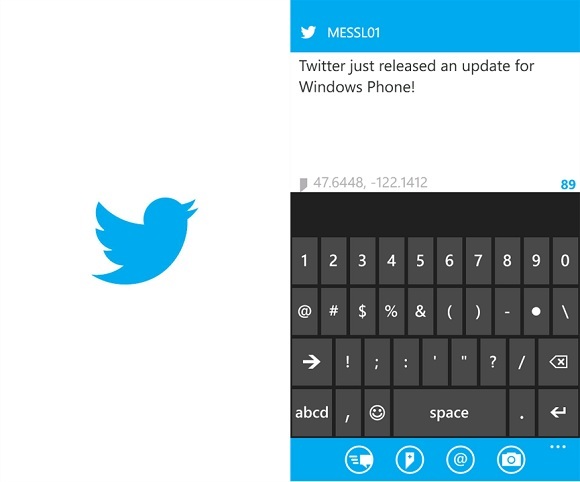 So click the Windows Phone widget below to get the latest version of the Twitter for Windows Phone for your smartphone and enjoy the push notifications.